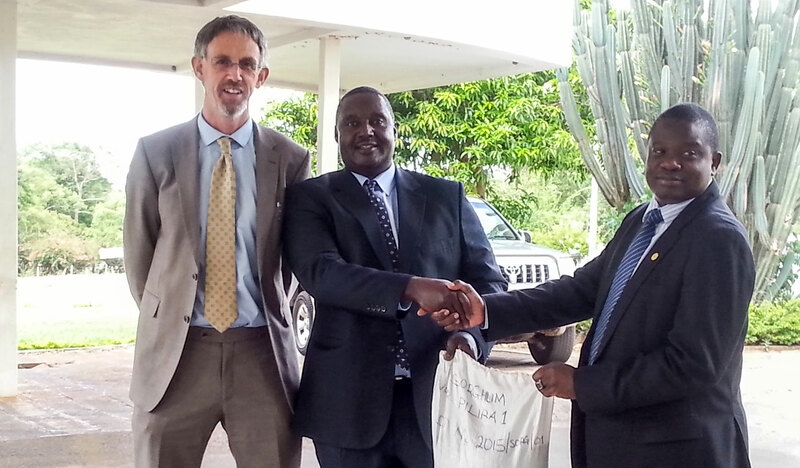 Strengthening its partnership with the Malawi government, ICRISAT contributed 1,400 kg of basic seed of Pilira 1 variety of sorghum for the 2015-16 cropping season. 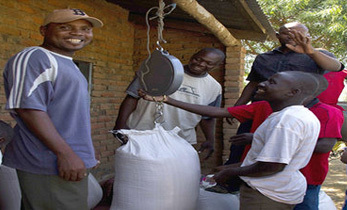 This contribution was made through the Ministry of Agriculture, Irrigation and Food Security, Malawi. 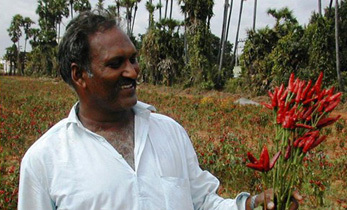 The Pilira 1 is a medium duration variety with a maturity period of 110 to 115 days. It has a yield potential of 2-4 tons per ha. Mr Bright Kumwembe, Deputy Principal Secretary, Ministry of Agriculture, while accepting the seeds on behalf of the ministry, underscored the appropriate timing of the seed sharing, as the ministry is trying to advocate crop diversification mostly in drought and flood prone areas. Mr Aidan Fitzpatrick, Head of Development, Irish Aid, said, “Adding sorghum in the Farm Input Subsidy Program (FISP) and extending ICRISAT’s seed systems portfolio to sorghum will positively impact livelihoods as the crop has potential to improve food security and income. 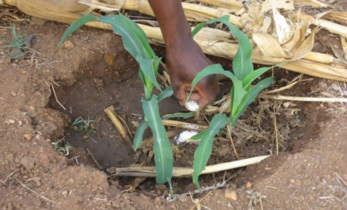 It is not only an easy crop to produce, but also drought tolerant.” He encouraged the Ministry of Agriculture and ICRISAT to continue working in collaboration and provide necessary technical support in order to revamp and out-scale sorghum seed production in Malawi. Hon Allan Chiyembekeza, Minister of Agriculture and Irrigation in his 2015 meeting with Dr David Bergvinson, Director General, ICRISAT, had expressed the need for ICRISAT’s support to meet the challenges associated with low sorghum production in the low-lying areas of Lower Shire in the southern region of Malawi and those along the shores of Lake Malawi where it serves as a staple food. These areas are mostly hit by dry spells and intermittent rainfall. Presenting the seed bags to the ministry, Dr Moses Siambi, Regional Director, Eastern and Southern Africa, ICRISAT, highlighted that the major challenges to increasing sorghum production in the country were lack of access to seeds of improved varieties, poor production practices and lack of diversification, as farmers cling to traditional crops. Along with a consortium of partners, ICRISAT is implementing the Malawi Seed Industry Development Project (MSIDP) with the aim of ensuring smallholder farmers have access to seeds of improved varieties of legumes and cereals. 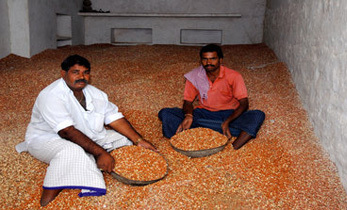 In 2015, through MSIDP, around 5,500 kg of Pilira 1 variety seeds were produced, enough to cover 1,100 ha. 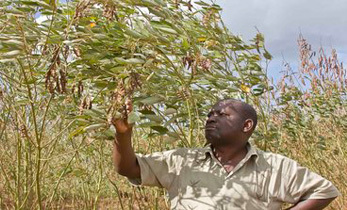 The 1,400 kg seeds given to the ministry would cover about 280 ha put to certified seed production. This certified seed will be channeled to more smallholder farmers through the Malawi Government’s Farm Input Subsidy Program. 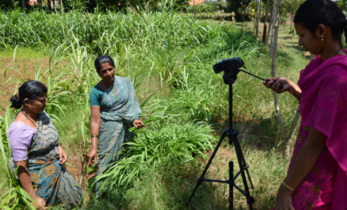 Partners: Compatible Technology International (CTI), Minnesota, Department of Agriculture Research Services (DARS) and ICRISAT.